As a scientist, I am keenly aware of the need to question pre-conceived ideas, otherwise known as assumptions. If scientists are not careful, they can allow assumptions to pollute their scientific endeavors and cause them to ignore the "truth" right in front of them. There is a parallel between this and Christianity. Christians have ideals, traditions, thoughts, and concepts to which they have become attached. These things can pollute their pursuit of God's truth by causing them to look at the information (the Bible) and perceive what they want to perceive. They extract what suits them and their theories. They ignore the "data" right in front of them. With this backdrop, I'd like to share several things I believe Christians don't like to admit--things that can make them uncomfortable--but things that need to be considered. #1 God is the God of the old and the new. God is the God of the "old paths" and the "ancient truths." These words can trigger an association in our minds that cause us to view God as "old-fashioned", like He secretly loves things that are old, worn out, and/or out-dated. We might begin to think that if Jesus were on earth today, He'd still have a rotary phone and pay for His groceries with a paper check. Part of God's unchanging nature is that He is always inventing something new! God is the God of creativity. He puts new ideas, new songs, new passions, new motivations, and new methodologies into the hearts and minds of Christians to accomplish His work. The Gospel itself is contained within a compilation of books referred to as the "New" Testament! God invents new things and reveals them to us. Don't reject it because it's new. And for the trendy Christians who struggle to accept anything pre-2009, remember that God expects us to cling to every truth He has revealed, whether it's from 2014 A.D. or 3650 B.C. Truth is truth. Don't abandon it because it's old. #2 Satan is not responsible for every bad thing in your life. Oh, how Christians enjoy blaming their problems on that old snake! He has become the ultimate scapegoat for Christians. "I got a flat tire. Satan did it." "I lost my job. Satan did it." Satan is very restricted in what he is allowed to do (read the first chapter of Job). Yes, God does allow him to cause us trouble sometimes, but before you blame Satan for everything, consider some other things. Natural consequences: You might have problems as a result of your own ignorance, negligence, laziness, or rebellion. Satan can tempt you to maintain such poor behavior, but he cannot not force a Christian to do anything. Judgment: The tough circumstances in your life could be a result of your disobedience to God. You at least have to give this consideration. In the story of Job, this was not the case (it WAS Satan); but in the story of Jonah, it was the case. Every situation is different. Hebrews 12:6 For whom the Lord loves, he chastens [disciplines]; and [He] scourges every [child] whom He receives. Satan can make your life difficult at times, but he is not the cause of all your problems. #3 God does not love you more than anyone else. Christians can almost accidentally begin to think that God loves them more than non-Christians. He doesn't. His love for all people is deep and immeasurable; but across the whole of humanity, His love spreads equally. #4 God has the right to reveal things on a "need to know" basis. Many Christians, particularly the more boisterous and self-confident ones, believe it is their job to solve every mystery in the Bible. They operate under the assumption that every passage must be grasped--now. This sounds like good study practice, except that the wisest people I've ever known were the people that frequently said, "I can't know for sure." They might speculate, but they are meek and humble enough to avoid dogmatic statements. 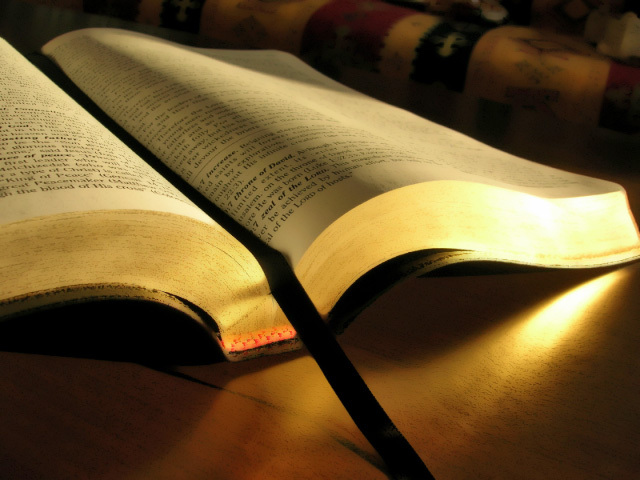 Parts of the Bible were written to conceal information from us. Personally, I will attempt to understand all of the Bible, but I will always run into the brick wall of my own limitations. I trust God to give me the wisdom and understanding I need--when I need it. Next time you read a passage that seems like it was written by an expert cryptographer, consider that it was. God could have plainly communicated every detail of His plans, but He chose not to. He chose to leave us "in the dark" about many things. I Corinthians 13:12 For now we [Christians] see through a glass darkly; but then [in Heaven] face to face. Now I know in part, but then shall I know [completely], even as also I am known. It is better to accept this than to invent a bogus interpretation based on your imagination and then tell people it's God talking. No, it's you talking. #5 God is not impressed with religiosity. Going through the motions makes God want to vomit. Isaiah 1:11, 13-14 To what purpose is the multitude of your sacrifices unto me [God]? I am full of [your offerings]; and I delight not in [your sacrifices]. Bring no more vain oblations. Incense is an abomination unto me. The new moons and sabbaths, the calling of assemblies--I cannot away with! It is iniquity, even the solemn meeting. My soul hates your new moons and your appointed feasts. They are a trouble to me. I am weary to bear them. God likes the real deal. Here it is. Psalm 51:6 Behold, you [God] desire truth in the inward parts [of man], and in the hidden part you shall make me to know wisdom. James 1:27 Pure religion and undefiled before God is this--to visit [orphans] and widows in their affliction, and to keep [yourself] unspotted from the [sin of the] world. "Seven Reasons People Hate Church"
"Traits of a True Friend"
I learn something new from your blog every day! That's great to hear! Thanks for reading.